And so I thought, with the world in the state it is in today, why not do what I could to make my wish for things to get better come true. Since I am neither independently wealthy and nor an omipotent being, paper cranes it is. In each crane (which is painstakingly folded and left for others to find around the City), I write an inspirational message (as noted on the blog post) so that the crane itself becomes something of a message in a bottle (sans bottle), a fortune cookie (sans cookie), or even a prayer. Maybe this project seems hokey/cheesy/pointless to you, dear reader (and/or the discoverer of the crane). If so, feel free to view this as nothing but an art project – the small insertion of art in the everyday. 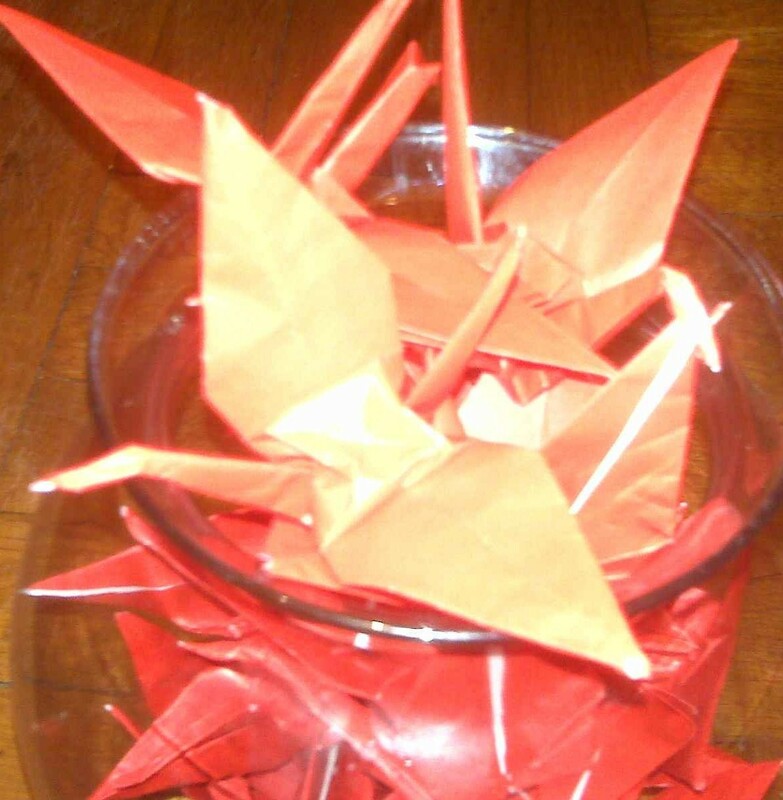 And feel free to rescue one of these red paper cranes from the wild should you come upon one! They make for some lovely shelf decorations.